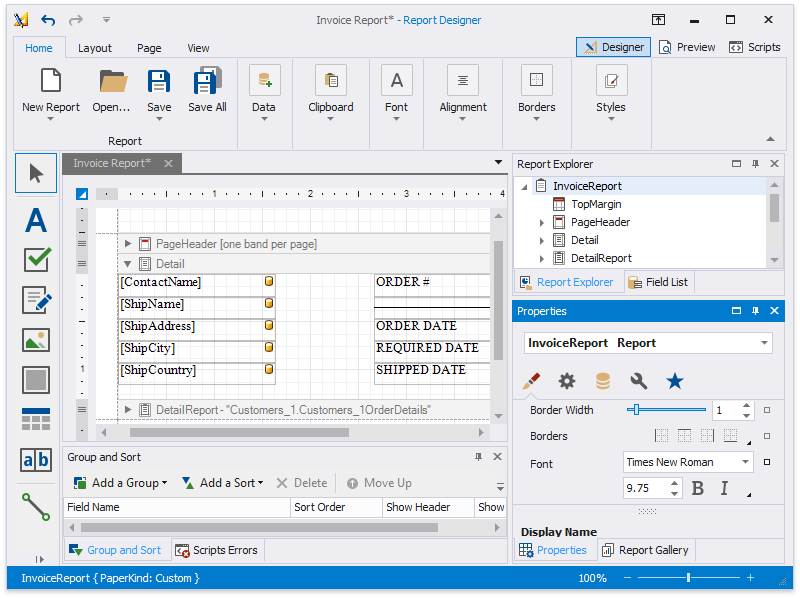 The Report Designer allows you to create data-bound reports and provides a rich set of tools to construct report layouts that meet your requirements. Specific features described in this guide may differ from what you see in your application. This depends on your application vendor. Back to top Copyright (c) 1998-2018 Developer Express Inc. All rights reserved.